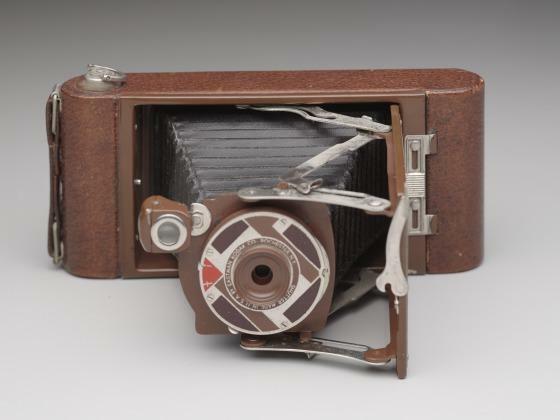 Walter Dorwin Teague, who designed this camera and box, was one of the United States most important industrial designers. 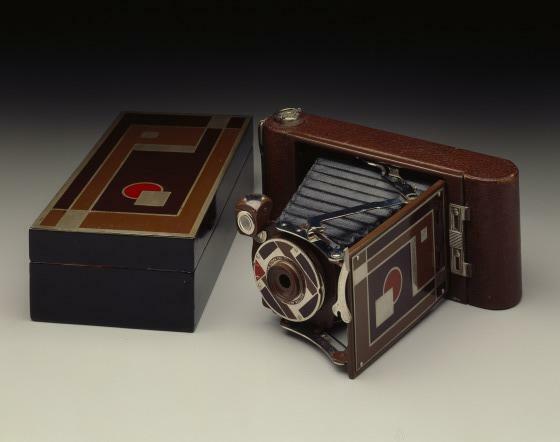 Although he was already well established by the 1920s, Teague underwent a design catharsis in 1926. 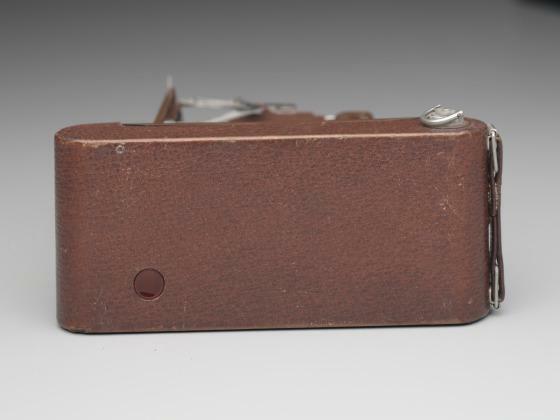 That year he went to Europe where he studied Le Corbusier's work and, from that time on, devoted himself exclusively to the new field of industrial design. 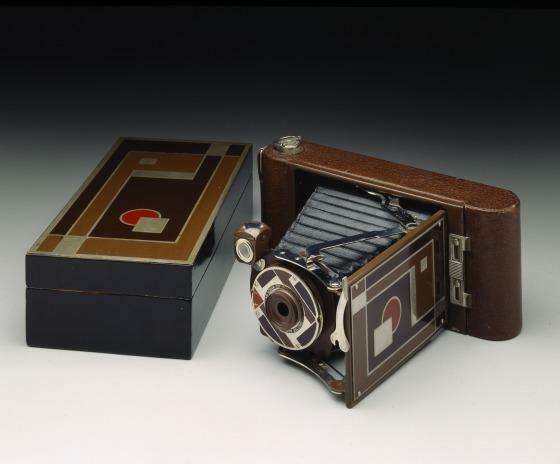 The design of the camera and box reflects the European influences Teague found so stimulating. The geometric decoration relates closely to early 20th-century work by artists like Mondrian. Charles Venable, DMA unpublished material, 2001.